There’s something about that strong distinct smell and taste of truffle that seems to be able to spice up almost any slightly pedestrian dish. Truffle carbonara, truffle cheese and truffle oil are among the delicious combinations that come to mind. 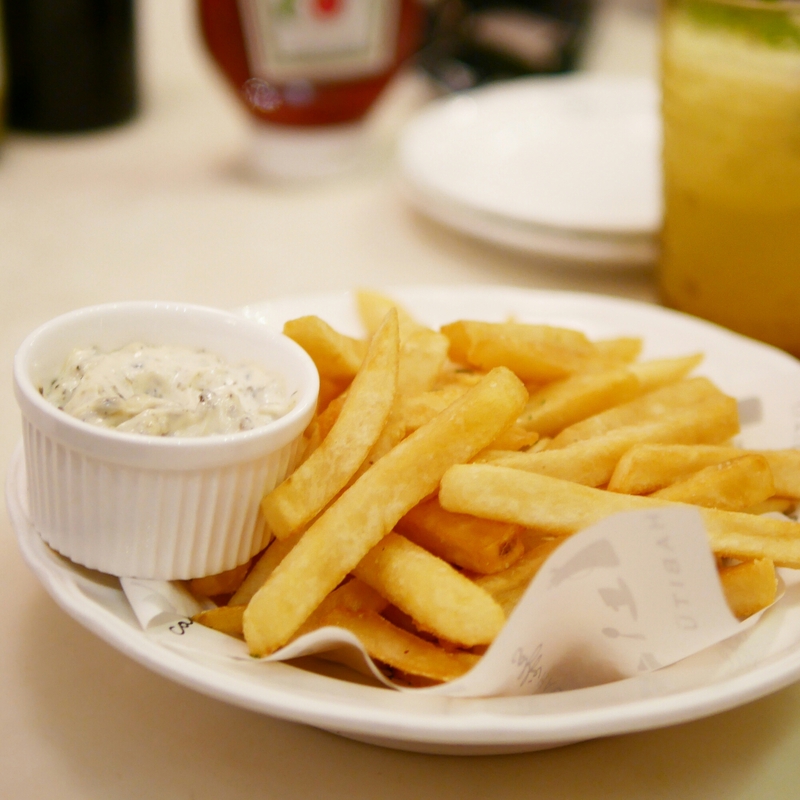 But of course, without having to splurge big bucks on those expensive shavings, the crowd pleaser has to be truffle fries, whether they just serve standard fries with truffle mayo or mix the truffle into the fries, that extra oomph just makes french fries that much more addictive. 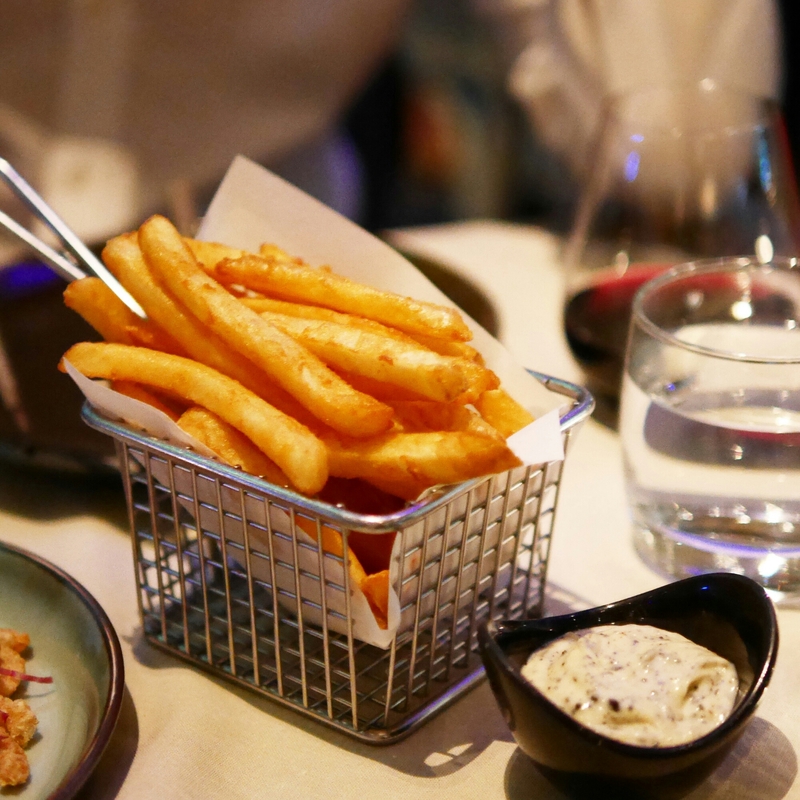 Here are three places in Hong Kong where you can order a good bowl of truffle fries that won’t disappoint! Glasshouse – they’re as crispy as they look! Featured as No. 2 (not a ranking) in 10 restaurants in Central for lunch dates, I love Glasshouse for their creative selection of Asian-Western fusion dishes – the Thai-style spicy mushroom ravioli with shrimps being one unforgettable dish. They also make the best truffle fries I’ve had to date. The fries are appropriately very crispy with the right portion of potato meat inside and they always serve it fresh and piping hot. I mean fresh food is key to making any good food, but it’s surprising how many restaurants don’t make their fries fresh to order. Their truffle mayo is my favourite for having an intense truffle taste to it. Glasshouse is located on P4 of IFC (above Lane Crawford, on the rooftop), Central. Both lunch and dinner would cost about HK$200-300 per person, as they don’t serve lunch sets. Caffe Habitu The Table (Elements) – the photo doesn’t do the fries justice; they’re good and fresh! Spaghetti carbonara is one reason Caffe Habitu has me swooning over their pretty cafes. I don’t really love their coffee or iced teas, but they make an al dente, thick and eggy spaghetti carbonara that’s extremely reasonably priced at HK$98. Even though carbonara is extremely filling itself, I always get their truffle fries as a side dish too! The fries are thick cut and not super crispy, but very potato-y. What I like most here is their truffle mayo. It has quite a strong truffle taste to it and they are super generous with the portion. I’ve actually never been able to wipe the mayo pot clean. Caffe Habitu The Table has several locations. The one I usually go to is in Elements (next to the ice skating rink), West Kowloon. Their Miramar branch does a significantly worse carbonara and truffle fries! Lunch and dinner would cost about HK$150-200. 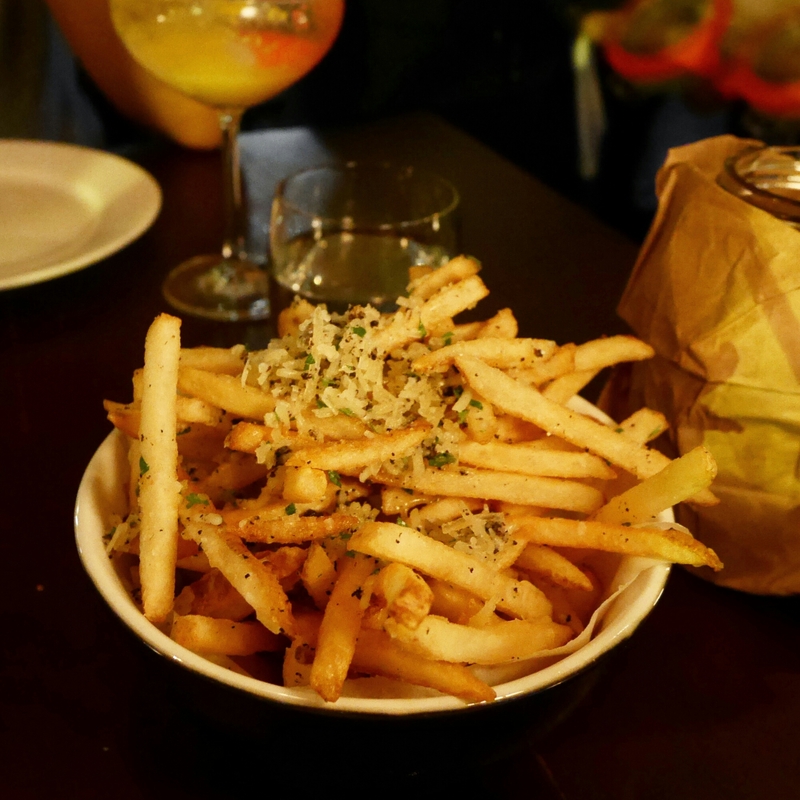 Blue Butcher – super duper crispy and truffly shoestring fries! Blue Butcher does one of the most epic Sunday brunches – I had never felt that full before in my life. There’s so much to it, that the experience probably gave birth to one of my longest posts. During the brunch, we asked for mayo to dip our fries in, but they said they “only had truffle mayo, is that OK?”!!! Cheekily hiding away our enthusiasm at first, our table quickly wiped that truffle mayo pot clean within dips. I had dinner there once too and they actually served the other type of truffle fries, which is when the truffle is incorporated in the fries already (rather than the dip) and those were real good too – kind of like the ones at California Vintage (though I haven’t re-visited in over a year). Blue Butcher is located on 108 Hollywood road, Sheung Wan. Sunday brunch cost about HK$500-600 per person and dinner is about HK$600-800.